Internationalizing a School of Education examines how Michigan State University has pursued internationalization and globalization through an integration-infusion approach to research, teaching, and outreach. The integration-infusion approach was introduced in MSU’s College of Education in the early 1980s as a replacement for the more disconnected comparative education program. This approach offers a vision where all faculty members and students are knowledgeable about education in all its international diversity, where their conceptions and aspirations are influenced by international research and experience, and where they reach out to other countries in collaborative efforts to do research, inform policy, and improve practice. 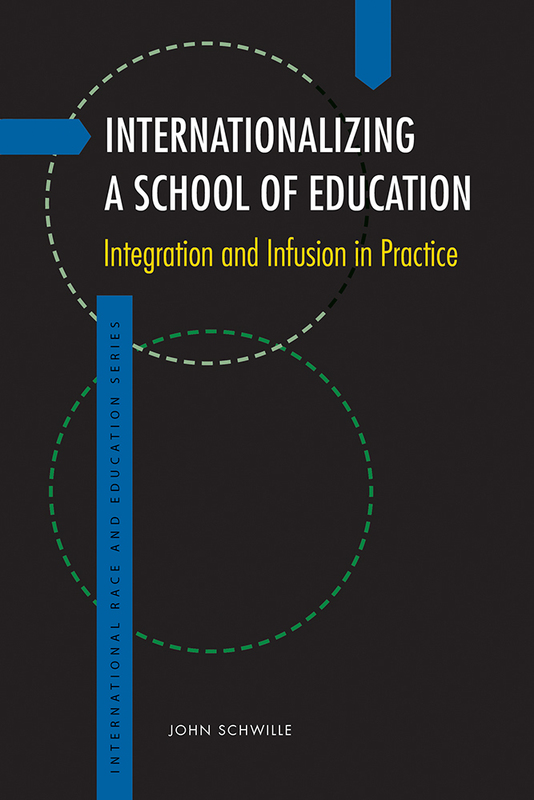 Featuring profiles of faculty members and students who were leaders of this integration-infusion approach, this text provides a survey of the landscape of comparative education in the United States while examining channels of internationalization specific to MSU, highlighting the success of integration-infusion at an institutional level. John Schwille is a professor emeritus for international studies in education at Michigan State University. He is an honorary member of the International Association for the Evaluation of Educational Achievement (IEA) and an honorary fellow of the Comparative and International Education Society (CIES).